Cocomo products from the House of Nature, are traditionally inspired, safe and toxin free. These natural & nourishing products have been formulated by a leading cosmetologist and our circle of moms for happy, healthy & confident kids. 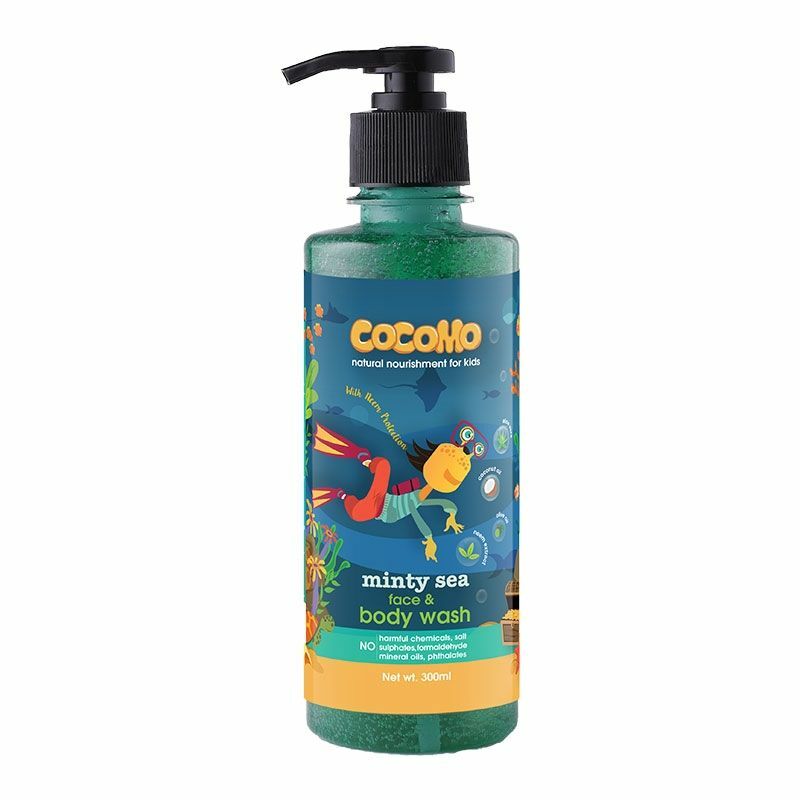 Wash off a busy day of school or play with Cocomo Minty Sea Face & Body Wash. This gentle & nourishing face & body wash cleans the face and body effectively with added moisture. With a pump mechanism that dispenses just the right amount, it grinds away dirt and excess oil without drying their sensitive skin.